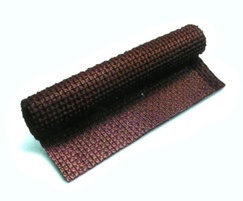 DELTA® PlasterLath is an easy to use 7mm meshed damp proofing membrane system which eliminates dampness, the effects of salts and contaminated backgrounds from walls. 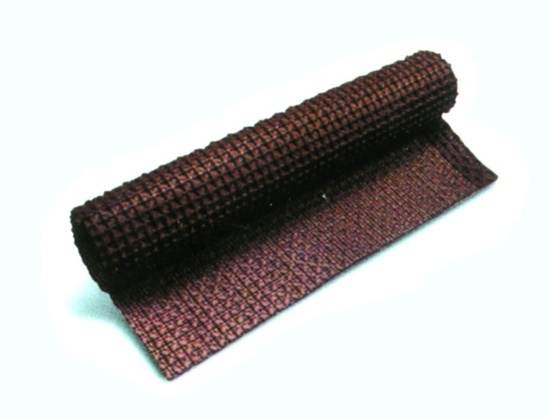 The meshed key surface provides a key for render, plaster, or dab fixing plasterboard. 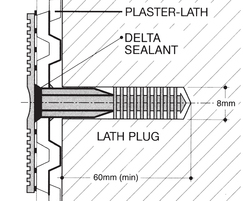 DELTA® PlasterLath's dimpled design creates an air gap, which insulates and allows for ventilation, and natural drying of the wall, while providing a dry decorative finish internally. The air gap can be vented externally via an air vent. 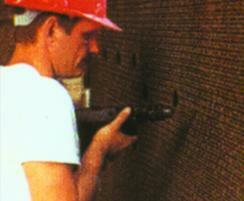 Alternatively it can be vented internally using the PT-profile strips at the top and bottom of the system. 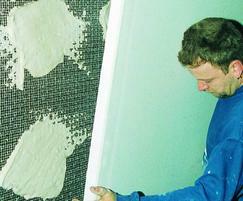 DELTA® PlasterLath is guaranteed for 30 years. 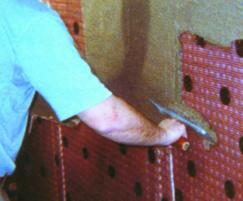 PT Plugs with grommets can be used to fix the membrane to walls.